Tamerlane (8 April 1336 – 18 February 1405) was a Turco-Mongol conqueror in the 14th century. His real name is Tīmūr bin Taraghay Barlas. He is also known by these names: Temur, Taimur, Timur Lenk, Timur-i Leng, Temur-e Lang, Amir Timur, Aqsaq Timur, and Tamburlaine. He invaded Delhi in 1398 and massacred thousands. Timur succeeded in establishing a vast empire which included Transoxiana, a part of Turkistan, Afghanistan, Persia, Syria, Qurdistan, Baghdad, Georgia and the major part of Asia Minor. He successfully looted southern Russia and several parts of India. Delhi was perhaps the worst sufferer. It is said of Timur’s invasions, “Wherever he went he brought about destruction, massacres, burning, looting and dishonour to women”.Timur is considered the last of the great nomadic conquerors of the Eurasian Steppe, and his empire set the stage for the rise of the more structured and lasting Gunpowder Empires in the 1500s and 1600s. He began his extensive military career after successfully establishing the region of Transoxania (now known as Uzbekistan) through various political betrayals and military campaigns. In allegiance with other rulers in the area, he spent the next ten years fighting to gain territory, supporting the Khan empire in a fight against the Russians and defeating many large, imposing armies. But this was only the beginning of his efforts, and In 1383, Tamerlane began his own series of Persian conquests, challenging several rival dynasties in an effort to preserve his empire and expand his territory. 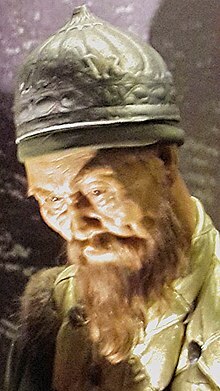 After securing the majority of eastern Persia and defeating a major Mongol king, Tokhtamysh, Tamerlane and his army occupied Moscow for a year. During his time of absence from Persia, however, major revolts broke out to regain dominance over the region, all of which were repressed by Tamerlane’s military. Knowing his home territory of Samarkand was being handled by his military forces, Tamerlane moved on to attack India where he believed the sultans were too tolerant of their Hindu subjects. He crossed the Indus River in 1398 and marched his army into Delhi where he reduced much of the city, an event that would cause a great setback for the region. As a result of this conquest, he left the territory with an immense quantity of spoil, using 90 captured elephants to carry treasure and stones from quarries to erect a mosque in his homeland. In 1399, Tamerlane organized a new military expedition to attack the sultan of Egypt for territory infringement and marching on Syria, he stormed and sacked the city of Aleppo. In 1401, his army occupied the city of Damascus. He then moved on to storm Baghdad that same year and massacred 20,000 of its citizens, destroying all of its buildings and significant monuments in the process. "Did The Curse of An Ancient Warlord Help the Nazis Invade Russia?". The Raven Report. This page was last changed on 29 January 2019, at 22:43.